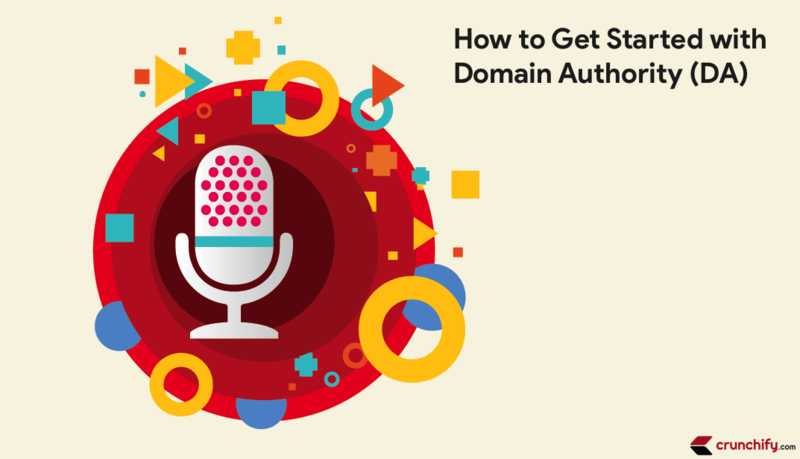 What is Domain Authority and How to Check your Site's DA Score? It is common goal of every blogger to rank higher in search engine. Search engine use thousands of metrics to rank websites, and one of the metric plays very important role in world of SEO is called Domain Authority. Domain authority is not new term but most of bloggers are unaware of this thing. Domain authority is a score from (1 – 100) which is developed by Moz that will show how your WordPress site will rank in search engines. Domain authority was first created by Moz for purpose of rating website on rank of 1 to 100. The more your website’s DA (domain authority) score, the higher your website will rank. Domain authority will define how your site is trustful for user. It plays very important role in branding of any site like Crunchify, QuickSprout, Lynda etc. If you want to convert your website or blog to a Brand then you must focus on Domain Authority and Page Authority of WordPress Site. Increasing domain authority is slow process and it needs two main things: Good Strategy & Quality Contents. If your DA is around 10 or 15, then it will be easy to increase up to 35 to 40. But thing is when it has grown above 50 then it will be tough process to go further. There are many domain authority tools available on internet but you should use official Moz Site Explorer. Just enter domain name or subdomain address and it will show you Domain Authority score. If you are using Chrome or Mozilla Firefox as browser then you should use Moz Toolbar. It is used to check Domain Authority (DA) and another metrics in SERPs. If you want to rank higher than your competitor then your DA must be higher than your competitor. Your authority will be calculated with signals like number of links that are pointing to your domain, linking of root domains to your website. Maintaining Domain authority will rate your website higher among your competitor. This practice will make you write quality content with better understanding for your blog. Backlinks are the key factor your SEO might get affected. Your site might get penalized by some of bad backlinks or other factors, but if you have maintained your domain authority higher then your chances of losing rank in algorithm update gets lesser than usual. So, check your domain authority today and if you have low domain authority then start working on increasing Domain Authority for better ranking. If you have any question or doubt related to domain authority then do share it with us in comment section. This is a great post!! I always hear people talking about DA but have no idea what it means, after reading this post, I learn lot of things about domain authority. Thank you. Awesome. Glad to hear that you got clear about Domain Authority and all concepts behind it. Great article Kuldeep! Great points on cleaning up backlinks and targeting backlinks from sites that have high DA scores than your site. I’ve been reading that it has become easier to manipulate the DA score, and thus is growing less importance in determining the authority of your site. What are you thoughts on this? Great. Thanks for your comment and very well come.